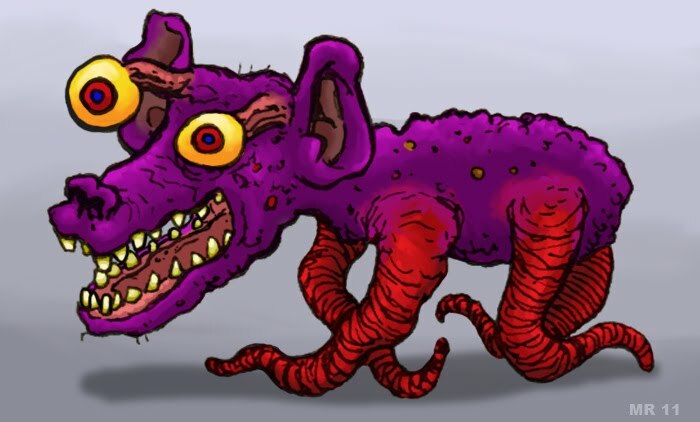 Gnockerbes are strange, dog-like mutants that have appeared in Australia's outback. It is believed that illegal dumping of toxic radioactive waste gave rise to the strange creatures, who seem to be an offshoot of local Dingo populations. The weird, tentacle like legs make for slow overland speeds, but allow the creatures to quickly scale trees and climb rocky surfaces.